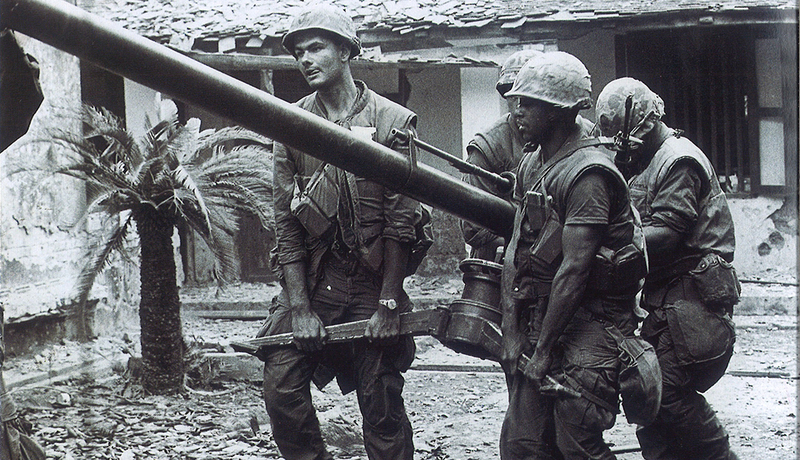 Bob Wallace (far left) helps carry a 400-pound 106mm recoilless rifle through the streets of Huê´, Vietnam, during the Tet Offensive in 1968. The Vietnam War helped shape a generation of Americans, none more than the 2.7 million who served in Southeast Asia. In honor of National Vietnam War Veterans Day on March 29, signed into law in 2017 by President Donald J. Trump, AARP spoke with six veterans of the war about their most vivid memories — and about what they want Americans today to know or remember. Len Kirchner, M.D., 83, of Litchfield Park, Ariz.
Kirchner entered the Air Force in 1961 at age 25. 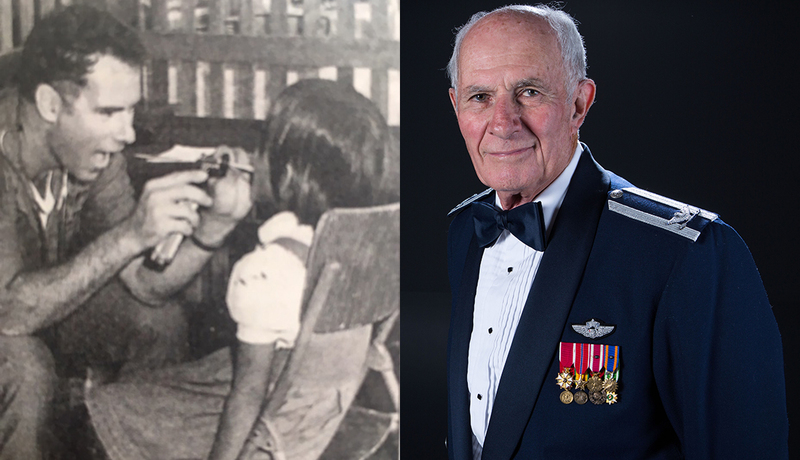 He served in Southeast Asia as a physician and in combat missions from 1965 to 1971. Len Kirchner examines a Thai boy during civic action (left); Kirchner in his dress uniform. What Americans should know: Wandering into war doesn’t always end well. 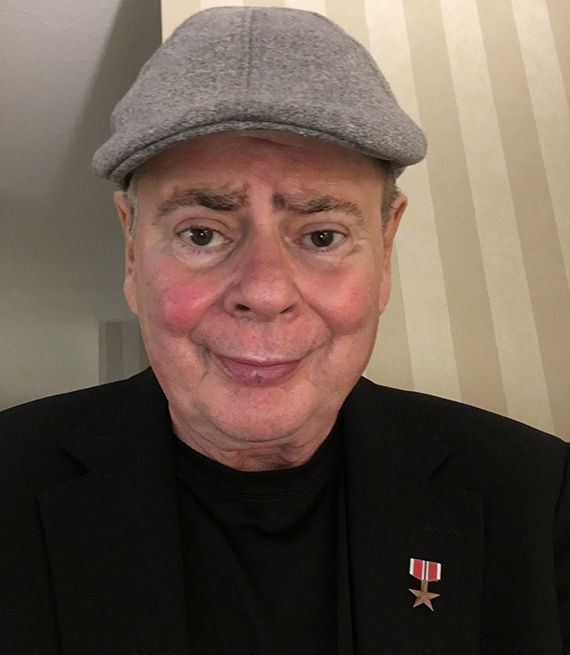 Harman was drafted in 1967 and served in Vietnam in 1969, as a crew chief and door gunner on a “Huey” helicopter for the Army.He wasthe Veterans of Foreign Wars national commander from 2017 to 2018. 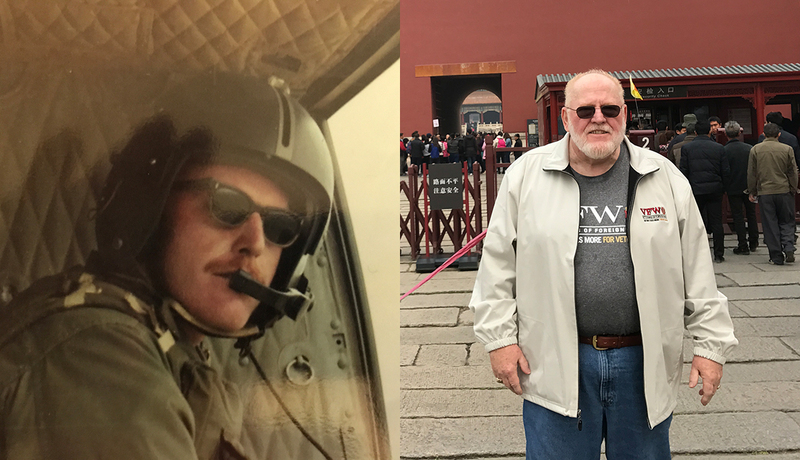 Keith Harman in a Huey Helicopter during the Vietnam War (left); Harman on his return visit to Vietnam in 2017. What Americans should know: Servicemen did what was asked and looked after one another. Tharp served in the Army from 1969 to 1970 and was a correspondent for an Army magazine called the Hurricane. 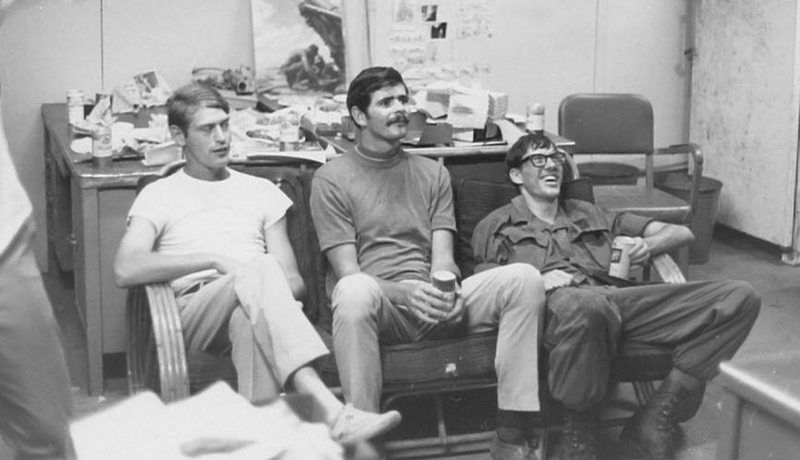 Mike Tharp (middle) at the 16th Public Information Detachment. What Americans should know: Too many lives, both American and Vietnamese, were lost. 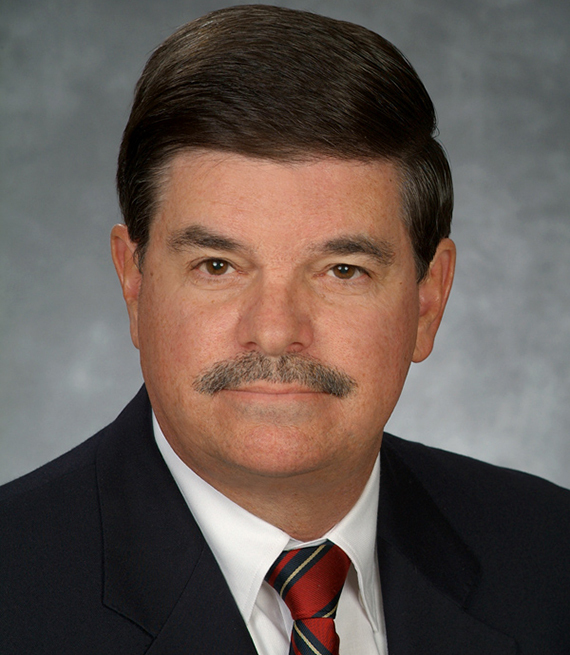 John Rivers, 73, of Paradise Valley, Ariz.
Rivers served from 1969 to 1971, as an Army infantry officer advising a Vietnamese military infantry unit. 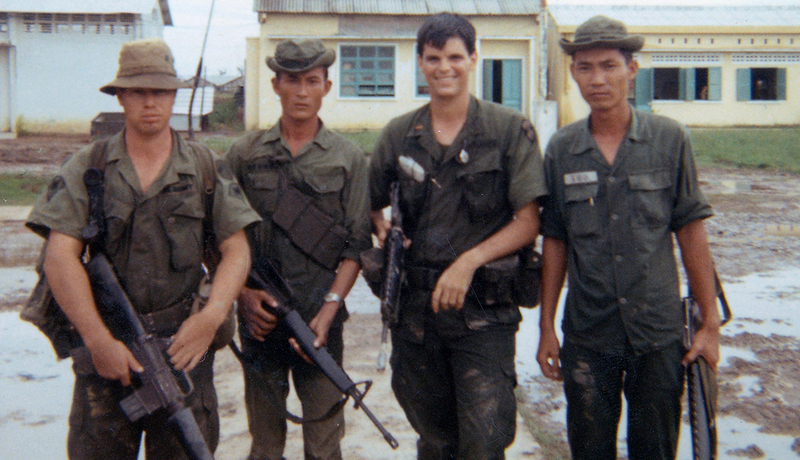 John Rivers (second from right) after his final combat operation. What Americans should know: Vietnam veterans served with as much sacrifice as any in American history. Bob Wallace, 70, of Arlington, Va.
Wallace served in the Marine Corps as an infantryman. He is now the executive director of the Veterans of Foreign Wars Office in Washington, D.C.
What Americans should know: Most who served volunteered for duty. 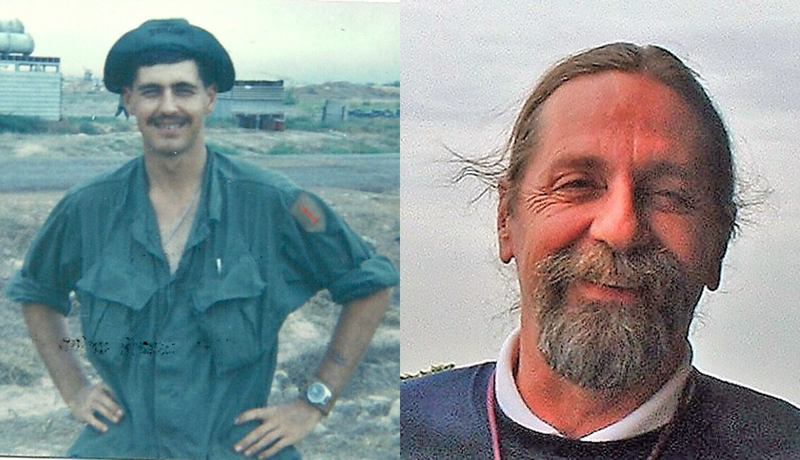 Jim Doyle, 70, of Fresno, Calif.
Jim Doyle in Di An, South Vietnam, 1st Infantry Division base camp, 1969 (left); Doyle today. “So in ‘96, a friend of mine was appointed to a job at the Department of Veterans Affairs as a deputy or assistant secretary for something or other. And I relayed the story to him, and he says, ‘Well, look, I can’t give you any information. But if you send me a letter addressed to Willie, I will forward it to him. And if he wants to contact you, he can do that.’ So I did that, and about a month later I was in D.C. I was on the board of Vietnam Veterans of America at that time. And I was in my hotel room, and the phone rang, and it was my wife. What Americans should know: The men who fought didn’t create the war. Like Bob Wallace, my husband, Gary Krueger was a Marine who was at Hue City in 1968. He went on to Khesahn. Horrible battles with many lives lost. Took my husband years to talk about his time in Vietnam. I remember him telling me that most people just wouldn’t believe what he saw. He also was a volunteer along with 8 high school friends. Only my husband and one other came home alive. 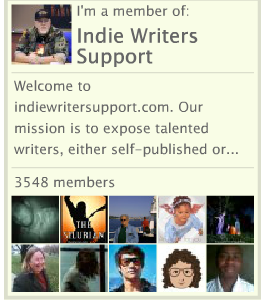 Thank you all for your service. Thank you for the memories. My husband, Dean Sinor, was a Cobra pilot in 1969. He, too, was shot down, and survived to become a very productive member of society, as did most everyone we know who served. Thank you again.